1. 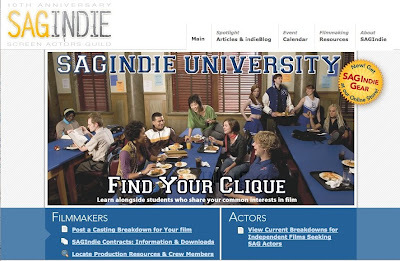 Bona fide talent agencies are not schools; bona fide acting schools are not agencies. Scammy acting/modeling schools sell their prospective students on the dream that they can submit them for paid acting or modeling jobs…IF they sign up for their (very expensive) classes. News flash: They usually can’t. Most industry professionals don’t work with these kinds of establishments. Now, it’s rare, but I have known excellent acting teachers in smaller markets who manage a select roster of actors. The ones who do sell their acting courses for a reasonable price, do not engage prospects in hard sales pitches and only agree to represent the very best of their students. No guarantees, no hype. This is a tricky area, though. Larger markets typically frown on the practice of representing and teaching at the same time, because of the potential conflict of interest. Some smaller markets have to be slightly more flexible, due to economic factors. The key will be to find out if the teacher is respected in the local community (I’ll talk more about teachers in a bit). 2. Bona fide talent agencies don’t have offices in shopping malls. Scammy acting/modeling schools often open up shop where there are a high number of young, gullible prospects: At the mall. Respectable talent agencies have proper offices, in the parts of town where other industry professionals work (production companies, casting offices, etc.) and they don’t need to send their employees out on the streets trolling for actors or models. In my 20-odd years in the industry, I’ve never met a so-called “talent scout”…except scam artists. It’s possible you might get noticed one day in passing by a talent agent, a modeling agent, a casting director or a producer (and likely all they’ll do is give you a business card; no hype involved). But a talent scout? The ones I’ve met were usually trying to round up starry-eyed prospects to sell them expensive classes or portfolios…or worse. Be careful. 4. Good talent agencies normally don’t advertise for actors. They don’t need to. Trained, professional actors are banging at their doors for representation. Be cautious if an agency needs to run ads to lure actors in: It’s usually not a good sign. I’ve mentioned this in previous posts, but it bears reminding: Real agents make their money by representing strong actors and earning a commission off the work they find for them. Agency/schools make their money off selling classes and portfolios. 5. There should be no hard sales pitch at a real talent agency. A bona fide agent is interested in finding out if your skills, experience and looks would add to his roster and help him earn more money off the jobs he helps you find. A scammy agency/school will lure you in, purportedly to see if you “have what it takes to make it in the business,” but soon, you’ll find yourself in a room with dozens of other hopefuls, listening to a long sales pitch about how they can make you a star. Warning: Their smooth talk can be very seductive and you may start to believe it. But soon, you’ll be taken into a private room with a “talent scout” who will “assess your potential” (inevitably telling you that you’re destined to be the next big thing) then pressure you or your parents to pay up for the classes or photo shoots immediately. RUN AWAY FAST!! 6. Agency/Schools usually don’t have the best teachers. At all. In fact, I know of only ONE dubious agency/school in my area that for a while had some good teachers, but they all ended up leaving, I think because they felt slimy about the company’s recruitment tactics. The best teachers tend to work in acting conservatories, universities or as private coaches. Not in shopping malls. Not in schools that double as acting/modeling agencies. Save your money and avoid learning bad habits that will have to be unlearned: Only work with respected acting coaches. If you’re not sure who is respected, do the rounds of all the theatres in your area (you can usually watch shows for free, if you volunteer to usher). When you see a really great show with fantastic actors, stick around afterward and ask the actors whom they study with. Note: It’s a good idea in general to start networking in the acting world; you’ll learn a lot from your fellow actors. What could be more flattering? Someone approaches you at the mall and says, “You could be a model. You’ve got the ‘look’ we’re after. Here’s my card. Give me a call to set up an appointment.” People have always said you’re good looking. Now, visions of glamour, travel and money flash before your eyes. It’s true that some successful models have been discovered in everyday places like malls, boutiques, clubs, and airports. But the vast majority of would-be models knock on door after agency door before work comes their way. It’s also not a bad idea to check with the Better Business Bureau, before doing business with an agency, just to make sure there aren’t hundreds of complaints. PS: Have any of you ever been the victim of an agency scam? I’ve read 134 of over 200 of the actor surveys! Time for a break and to answer another actor question. As I mentioned in a previous post, our office has not been hired to cast “New Moon,” as it is shooting in Vancouver BC (we’re more than happy, however, to make our resources from “Twilight” available to the new casting directors). We have other projects coming up in the New Year, provided that the actors don’t go on strike. So, I’ll answer questions as to how things usually work in the film business. This should provide some clarification for those of you who are seeking answers regarding specific projects. Q. I’m from Oklahoma and I’m trying to get my 14-year-old daughter some work in acting. How should I go about getting started? Do we need headshots and an agent before we even try? Can I get a good agent in Oklahoma or should we go to L.A.? * Does the teacher talk a lot about “emoting,” making facial expressions or crying on cue? Or does he/she talk about objectives, obstacles and tactics? A good acting coach teaches actors to focus on what they are trying to DO in the scene, not on what they LOOK like. “Emoting” never looks real. When an actor is really present in a scene, using different tactics to try to achieve objectives, the emotions come naturally and they’re believable. “Mugging” isn’t. * Does the teacher use a lot of adjectives or verbs in his or her direction? Beware of a teacher whose direction consists of “Try to be more angry” or “Do it again; this time play it sad.” This teacher is focused on the exterior (facial expressions), rather than the interior (motivations, desires, objectives) and this direction will result in a lot of mugging instead of real emotion. Instead, look for an acting teacher who directs mostly using verbs that focus on what the character is trying to GET from the other person: “Make her give you the money.” “Get him to apologize to you.” “Grovel for them to take you back.” “Seduce him.” “Destroy her.” This teacher understands that emotions come naturally from pursuing objectives; from dealing with and overcoming obstacles. * Does the teacher talk about listening and responding, being in the moment, playing off what the other actors give you? This is usually a good sign. A true actor cannot plan her reactions in advance, because if she’s really in the moment, she technically doesn’t know what the other character is going to say next nor how he is going to say it. She needs to be available and open and ready to respond appropriately to whatever happens, just like in real life. A bad sign is if the teacher tries to get actors to plan their reactions in advance or constantly gives “line readings” (in other words, says to the actor “Deliver the line like this: ‘I never said you STOLE the money!'”). Okay. Say your daughter has good training. Can she get some experience outside of school? Local professional theatres? Also look around for auditions for independent films; there may be an opportunity to build up an acting reel, if she gets a few well-produced, professional looking scenes. Just be sure to research the filmmakers and the project beforehand, to make sure they’re on the up-and-up. A lot of indie filmmakers choose to shoot under one of the Screen Actors Guild‘s low-budget agreements, which can be reassuring to actors and their parents that certain standards will be maintained (such as working hours, minor labor law protections and workers compensation insurance). You can read up on some of these contracts at SAGIndie.org. Once she has some training and experience, and preferably an acting reel, she can put together an acting resume (which I won’t go into today; in the meantime, there are a lot of books on acting that talk about what belongs on an acting resume and what doesn’t) and a photograph and first try to contact a LOCAL talent agent in the nearest large or medium-sized city. Before moving to LA, you need to find out if she can compete in a smaller market, and also try to procure a SAG card, which is much easier to do in a regional market than in LA. So start with a local agency. A Google search should turn up a few in your area. Also read my previous post, “More of your acting questions answered” under Question #4, about finding SAG- and AFTRA-franchised agencies. NOTE: I wouldn’t spend money on headshots at 14, until she’s met with an agent. The agent may have recommendations or certain requirements, so it would be a waste of money, if you had to have them redone. Just use a photograph that looks like your daughter in real life (NOT a glamour shot), in which the face is clearly visible (no hands on the face, no hats). You can get professional headshots taken after the agent agrees to take her on. As I’ve previously stated, a talent agent only earns a commission off the jobs that her actors book. She should not be pressuring them to purchase her acting classes or headshots, or charging exorbitant registration fees. She may be able to recommended acting coaches and photographers, but she should not be getting kickbacks from them. See Question #4 of the above-mentioned post for further info. I’ll have to tackle more of these issues at a later time! For example, there are ways to find out about auditions happening in your area, if you know where to look. I’ll try tackling a few more of your questions, before I get back to my actor surveys. I’m sure those of you who submitted your surveys are anxious to find out who the winners are! I’m on survey #103 of over 200, so I’m about halfway there, but it’s a lot of reading! Keep checking back here for news or sign up for the RSS feed (on the right sidebar). There will be more opportunities in the future for readers to participate in the development of my new book for actors, so stay tuned. Okay, without further ado: Your questions! 1. I am wondering if you think it is a good idea to take the site Acting411 as a good source of information for addresses and casting information. If not, where? I am interested in sending my information in for the Natalee Hollaway story, but I am not sure how to go about it. The agent that I talk to, but reluctantly sign with, tells me that I can submit myself for anything I want. I just don’t want to be doing it wrong and end up being a pesky aspiring actor. Do you have any advice? I can’t speak for other casting directors or other websites, but most of the castings we do are not open to the general public, unless we specifically advertise them as such. It won’t hurt you to self-submit; you never know when your headshot will land on someone’s desk at the right time. But for major roles, we usually start with actors who are tried-and-true or who come highly recommended from agents we respect. For smaller parts, we might dig through the piles of mail to see if there’s someone new we want to bring in, so if you’re unknown to us, you’ll have better chances there. But generally you need to live in the area where the casting is taking place. If we advertise a role publicly, then by all means, send in your submission. 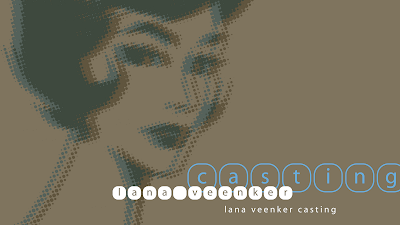 In our case, we typically put out a press release, post the information on our website, on our MySpace pages (LVC and RBC) and possibly even on Craigslist in the city where the casting is taking place. Back Stage is also known as one of the top resources for casting calls, but it requires a subscription. I know that the Ross Reports maintains a pretty comprehensive list of casting directors and their submission instructions, but I think it also requires a subscription to Back Stage. 2. Lana, I too have a more general question regarding the business. What are your thoughts on aspiring actors paying for memberships on sites like “The Casting Workbook”? Is this a professional and reputable way to put yourself out there or more of a lost cause? Those sites can be useful, if they’re actually used by the local casting directors. Casting Workbook is used pretty widely in Canada, so if you’re based there, it could be helpful. We’ve used CastingNetworks in LA and San Francisco for commercials and non-broadcast projects, and we’ve used NowCasting in LA for films. And of course, the Players Directory has been around for over 70 years and is considered an authoritative resource for casting directors (it’s also now being run by NowCasting). There may be others out there, but I’m not familiar with them. Just be wary of subscription websites that promise to submit you for castings all around the country. There are sites that steal our press releases, post them on their own websites as if they were theirs and swamp us with mail from all over the country, when all we really want are local actors. Typically, casting directors only want to see people who are based in the region where they are casting, even if you say “you’re willing to travel.” There are too many fantastic actors in our own backyard; why would we want to deal with the hassle (and potential catastrophe for the production) of an actor who has to travel back and forth across the country for multiple auditions, wardrobe calls, rehearsal and shoot dates, all which could change at a moment’s notice? No thank you! Find the casting director(s) in the cities closest to you and start there. 3. Hello, I am new in this blog. I have been reading your information about casting and many more. I thank you for the details you passed it on to every one of us who strive to become an actor. I am currently residing in Chicago for 3 yrs now. I realized that it is difficult to get a role especially when you are hearing impaired and looks very young. I’m 31 and my appearance for the role that I’ve been auditioning did not go through because I look very young. I have done several project here in Chicago and do have 3 agencies. All of my agents are fantastic. Back to my question to ask you, for an African American, Hearing Impaired and female, why is it difficult to get a role? I’m afraid it’s difficult for everyone to get roles! If you’re in a minority category of any kind, there are fewer opportunities…BUT you also have less competition. So if you fit the requirements of the role, you actually have a relatively good shot at getting cast. If you’re in a category where there are lots of opportunities, that may seem to be an advantage, BUT there’s also a lot more competition. The odds are stacked against you. In both situations, the only thing you can do is try to be the best actor you can be. Study with the best acting coaches you can and keep improving your skills. That being said, the market is opening up and non-traditional casting is in much higher demand than ever before, particularly in television commercials, where our clients seem to want as much diversity as possible. 4. So where would I find a list of suitable agents, who are not frauds of course, in the LA and/or South Orange County area? Like can you recommend one? Or know of one? Screen Actors Guild (SAG) maintains a list of franchised talent agencies. The American Federation of Television and Radio Artists (AFTRA) also maintains a list of its franchised agencies. That’s a good place to start. Remember, a bona fide agency only earns money when you do (i.e. a commission off the work they find for you). They don’t try to sell you classes or photographs, or charge you exorbitant registration fees. You will need training and headshots, but real talent agencies don’t sell those. They may give you a list of recommended acting coaches and photographers, but they shouldn’t try to coerce you to hire a specific one (that may mean they’re getting kickbacks; not good). 5. Thanks so much for clearing things up, although I do have a few questions. I live in Canada and it is extremely hard to get American auditions especially without an agent. Do you know any good Canadian agencies? Also, can they get me on an American gig? The Alliance of Canadian Cinema, Television and Radio Artists (ACTRA) has branches across Canada that should be able to provide lists of recognized talent agencies. You need to have a work permit to work in a country other than your own. Unless you’re a star, the production company will not procure one for you. So it’s not likely a Canadian agency can get you an audition for a job shooting in the States, unless you already have work papers or dual citizenship. And even then, most casting directors prefer to work with actors who live in the region where the job is shooting. So you’d be better off moving to the city where you want to work (as long as you are legal to work there). Okay, that’s all I have time for tonight!